Vecteezy, a large vector graphics community and free vectors platform, has released an online Vector Editing Suite known simply as ‘Vector Editor'. This new tool, currently in public beta, is equipped with advanced editing functions and thousands upon thousands of customization options. And to top it off its FREE! This easy to use tool is very user friendly, enabling both the trained and new comer to design and modify vectors. It's well worth checking out! Upon clicking on the Vector of your choice, you are presented with the option of Downloading or Edit and Download, clicking the edit key will automatically open your vector of choice within the online editing tool. You can also open the Suite directly by clicking here. Vecteezy Vector Editor comes pre-loaded with 800 fonts and over 25,000 design elements, allowing for an almost infinite amount of customization of your vector graphics without using expensive 3rd party software. Select: Including Size Selection, Fill and Stroke settings and tools for arrangment. Pen Tools: This is where you will find settings such as Stroke Size and Fill and Transparancy options. Elements: Includes Shapes, Illustrations and Templates. All of the functions of the Suite have been design with ease of use in mind. With Vecteezy Vector Editor, basic point and click editing is more than sufficient to create a work of vector art. After completing your Vector Editing you are given 3 formats for downloading, SVG Vector Graphics or PNG/JPG bitmap files, which are downloaded directly to your local storage. 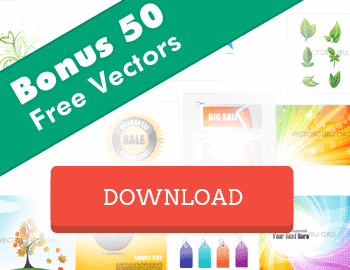 So if your interested in the worlds largest collection of Vector Art and a Free Online Editor to create your perfect designs, give Vecteezy Vector Editor a try! Don't forget to let us know how it worked for you!